The UPSC NDA exam was held on September 09, 2018. On the very same day of exam the NDA 2018 answer key of Mathematics Set B relased after few hours of it conduction. The Set B Mathematics answer key of UPSC NDA & NA 2 2018 contains correct answers to questions. As per the NDA 2018 Answer Key of Mathematics Set B, you can check how many answers you have marked correctly and incorrectly. For every correct answer, you get 2.5 marks. For incorrect answers, 2.5/3 marks are deducted. Thus, using the NDA 2018 Answer Key of Mathematics Set B you can calculate your marks. Once you know the probable score, you can compare it with a cutoff of NDA and predict chances of selection. If you are looking for NDA Answer Key 2019 of UPSC NDA & NA I 21 April 2019 Exam, then please click here. 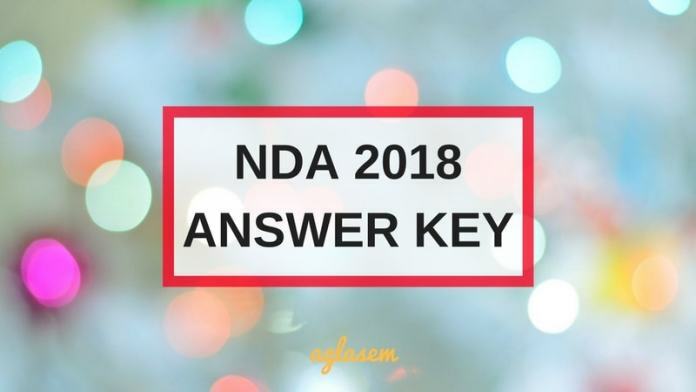 You can check here the NDA 2018 Answer Key of Mathematics Set B. Here we are providing the concern of the candidates. The aspirants of NDA have much concern about the publishing of answer key by UPSC. So the following question will make understand about the scenario. Will UPSC publish NDA 2018 Answer Key of Mathematics Set B? After conduction of the exam, UPSC will publish the answer key of the Mathematics Set B. whether the time of publishing answer key can’t be predicted right now. But it is quite sure that UPSC will publish the answer key of the paper. When will NDA 2018 Result be announced? NDA result will be announced after a few weeks of the exam. As per last year data the NDA result was out on November 01, 2017, while the exam was held on September 10, 2018. Hence if UPSC will follow the same trend then the result will be announced in the first week of November 2018. But there is not hard and fast rule that NDA will announce the result in the month of November.